General Liability – (GL) is coverage that can protect you from a variety of claims including bodily injury, property damage, personal injury and others that can arise from your business operations which does not involve a truck. Typical examples of this would include the slip and fall exposure at your place of business, advertising related exposures, and/or contractual exposures you may get involved in. Click here to get a General Liability quote. Commercial Property – Insurance that is used to cover any type of commercial property. Commercial property insurance protects commercial property from such perils as fire, theft and natural disaster. This type of insurance is carried by a variety of businesses, including manufacturers, retailers, service-oriented businesses and not-for-profit organizations. Click here to get a Commercial Property quote. 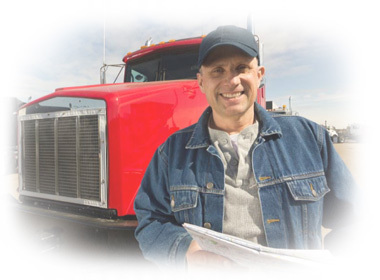 Trucking – We know transportation insurance. Whether you are a single owner-operator or a large fleet, we have specialty insurance programs designed with you in mind. Liability insurance is required by federal regulations. Every carrier must carry liability insurance on every commercial Auto even on leased units. Liability insurance protects you when a third party is injured in an accident. Click here to get a Trucking quote. Wrecker – The business auto insurance coverage is designed to protect your towing business in the event of an accident, theft, injury, and/or other damages involving your vehicles and your employees while driving insured towing company vehicles. A tow truck business is any business that earns income by towing or providing roadside repair to disabled vehicles, operating a repair facility or performing some repossession work. Click Here to get a Wrecker quote.